Jordan Goodwin pulls up to shoot in the Billikens’ conference loss to Richmond on Wednesday night. This is the Bills second loss in Chaifetz Arena and second in a row. 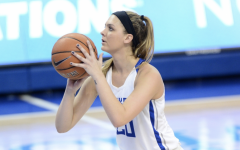 Heartbreaking is an apt word to use when describing the Billiken loss Sunday to conference rival Davidson, especially for Jordan Goodwin. Having taken the lead with only 11.3 seconds left, Goodwin fouled Davidson star Jon Axel Gudmundsson who made both free throws to reclaim the lead. In a last second heave to retake the lead, it had looked as if the Basketball gods had smiled down on the Bills when the sophomore starter was fouled with just 0.4 seconds remaining. A potentially poetic ending as Goodwin would be able to make up for his previous foul, needing to only hit one of two shots to send the game into overtime. Both shots bounced off the right side back rim and out and the Billikens had dropped their second straight A-10 game of the young season. 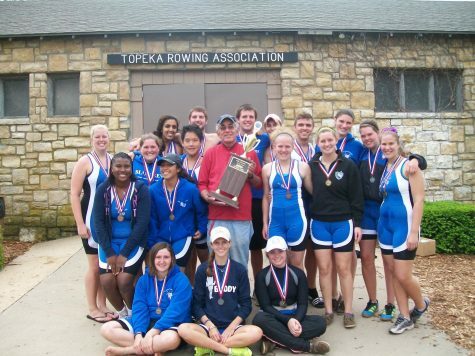 Postgame, the disappointment was palpable. The typically jovial Travis Ford delivered his shortest post game statement of the year with a simple “We didn’t win the game today” with his entire press availability last less than two and a half minutes. 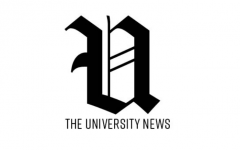 The loss to Davidson shifted the national focus away from the Bills, who up until that loss were receiving votes in the AP and Coaches national ranking polls. 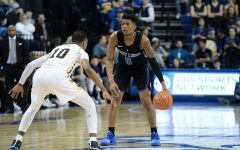 However, considering the depth of unexpected talent appearing in the A-10, like the success of Duquesne and George Mason along with perennially talented teams like VCU, Davidson and Dayton, the A-10 is still very much up for grabs, and a string of wins in conference play would return the spotlight to SLU. Richmond may have been the perfect opponent for the situation as the underachieving Spiders entered Chaifetz Arena sporting a 1-6 record with underwhelming advanced stats for both their offense and defense. 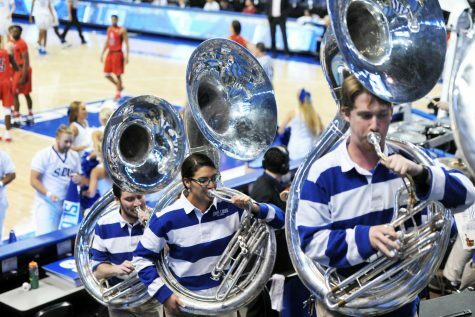 Despite the bitter cold outside that limited the general attendance and the student crowd to approximately 4597—its lowest of the year—the Billikens were as hot as could be inside Chaifetz Arena opening the game with four consecutive made shots. The hot hand quickly faded though when Richmond adjusted its scheming to a zone defense. The Billikens also struggled with its foul situation throughout the half, with big men Hasahn French and DJ Foremen each finding themselves sitting for extended periods to avoid further fouls. On the other side of the coin, only one foul was called in favor of the Bills all first half—a point the Billiken home crowd was acutely aware of. The foul came on a Javon Bess mid-range jump shot with 4 minutes to play in the half. With a lead that grew to as many as 10 for Richmond the Billikens began to keep pace as their shooting improved, Javon Bess lead the charge making four of five three pointers in the half. 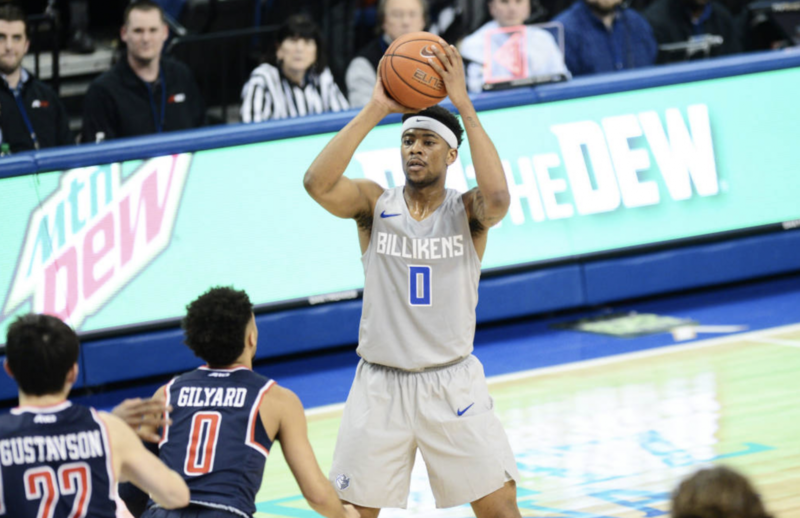 The Billikens were able to narrow the lead to as few as four and would have gone into half time with that had Richmond guard Jacob Gilyard not heaved a half-court buzzer beating prayer and sunk it to extend the half-time lead to 7. The half-time message expressed by Ford implied he didn’t feel his team had started on time, and that they need to be ready to compete in the second half. The Billikens stormed out of locker room to go on a 9-2 run and tie the game up. The run was partially motivated by the defensive adjustment to switch to a zone defense of their own. However, despite the strong performance they maintained through the opening minutes of the half, they couldn’t break through and take the lead, only matching the Spider lead. The elusive lead would remain just that for nearly the entirety of the second half. Tying the game 5 times down the stretch. 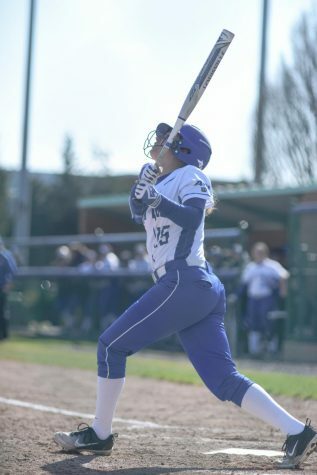 But the Billikens simply couldn’t get over the hump. 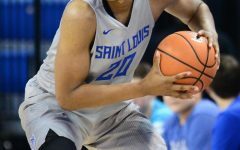 The challenge appeared too difficult to overcome until the Billikens began to run their full-court press defense. The Spiders struggled mightily with it, allowing the Billikens to score quick points before their offense could find a way to break it. 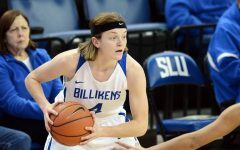 The press also allowed the Billikens to stay in contention long enough to have an opportunity to win the final seconds. The break Ford and his team were looking for seemed to finally come with 15 seconds remaining. After Richmond missed their free throw, Javon Bess had the opportunity to take the lead. A drive to the key was thwarted by Richmond defenders descending on Bess and not allowing a clear look. Ford was visibly angry at the lack of call for his star player, a boiling point after clear frustration with the officiating throughout the game. A couple of Richmond free throws, and a buzzer beating heave later, the Billikens dropped their third straight conference game 84-81. 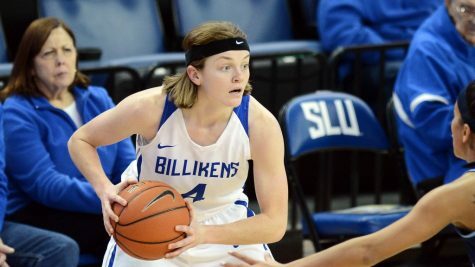 The Billikens have an opportunity to break their longest losing streak of the year on Saturday when they visit the Rhode Island Rams. 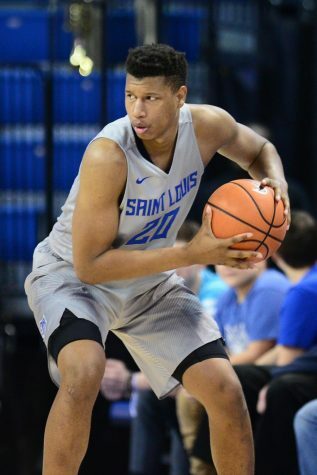 Earlier this year, the Billikens beat the Rams 60-53 when they visited St. Louis.